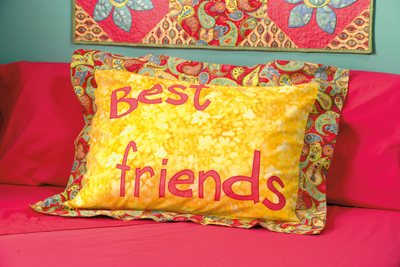 Make this happy pillow sham for a favorite friend; then stitch a matching sham for yourself! Fusible appliqué and a simple overlapped backing make this a quick project to share between friends. 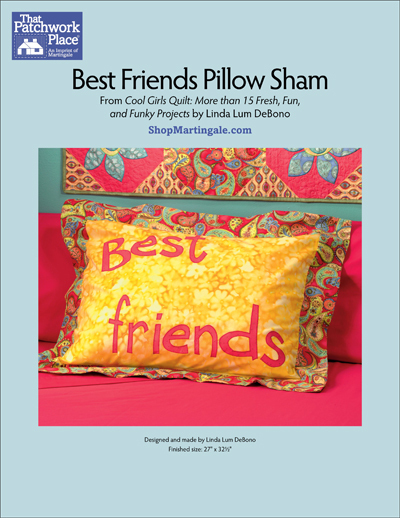 Finished size: 27" x 32 ½"
Linda Lum DeBono is a quilt designer who was named Aurifil Designer of the Month. She's also a fabric designer for Henry Glass & Company. 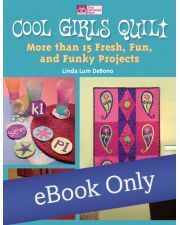 Her designs have appeared in several books, as well as in several magazines, including American Patchwork and Quilting, Quilts and More, Quilter's Home, and Quilt It for Christmas. She's well-known for her bright and funky quilts, and loves working with color and texture.